Well, it’s been a long time since I last posted, but I guess I feel like nothing as major as surgery or returning to college has happened in the past 3 months. I think I’ll try to post an update at least every month or so, just in case anyone’s interested in my progress. First, school: Everything’s going well; digital logic is really hard. I’m actually currently studying for an exam on Saturday morning, which is probably how I ended up thinking now would be a great time to make a blog post. Same reason I baked cookies and cooked dinner last night, I think. Apparently procrastination leads to productivity. 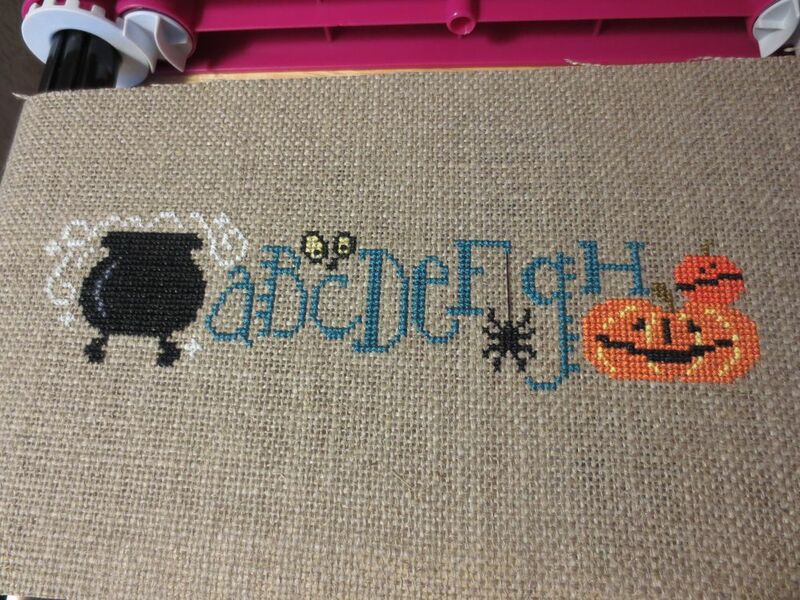 Other news, crafts: I’m currently working on a Halloween sampler, which I certainly won’t finish until after Halloween, because I’m also working on a swap gift that’s also due on the 31st (basically like a craft pen pal, pretty cool.) I may post that when I finish it as well. Ooh, fun news: Mark got us tickets to Comic Con this weekend, which includes the entire cast of Star Trek TNG. I’m pretty upset that my exam is during Patrick Stewart’s Q&A, but I’ll get over it. Just means I need to do even more studying tonight because I won’t want to do it tomorrow when we’re seeing Marina Sirtis and Gates McFadden. Other news that makes me squee… going to see Jukebox the Ghost on Monday, and Regina Spektor the next Monday! (which is Mark and my 12th anniversary since we started dating. We’re coming up on the half of our lives together anniversary… need to plan something special for that. Maybe go to Europe 🙂 Assuming I have a job again at some point in the next two years… haha.) Aaaand final exciting concert-related news, bought tickets this morning to see Guster in January! Apparently it’s Erin’s Favorite Bands week. Hmm.. other music news: I joined a band! I’m playing trumpet in an all-girl rockabilly/punk/blues band called Danger*Cakes. I’ve played with them in a handful of shows in Austin, San Marcos, and San Antonio. We’re signed (with a distribution deal), and our CD release party is next Friday! Programming news: I’m learning Python and web app development (outside of my actual classes) and I’m looking forward to making some interactive games. I could just regress and make them in Flash, but I feel like pushing myself to do something new. I also really feel like I need to start working on Java again, now that I’m doing things with classes and objects in C++, it makes me want to dust off my OOP chops. When I string it all together like that, and think that none of that had happened last time I posted, it makes it seem like a LOT has happened in the past 3 months! How about that. 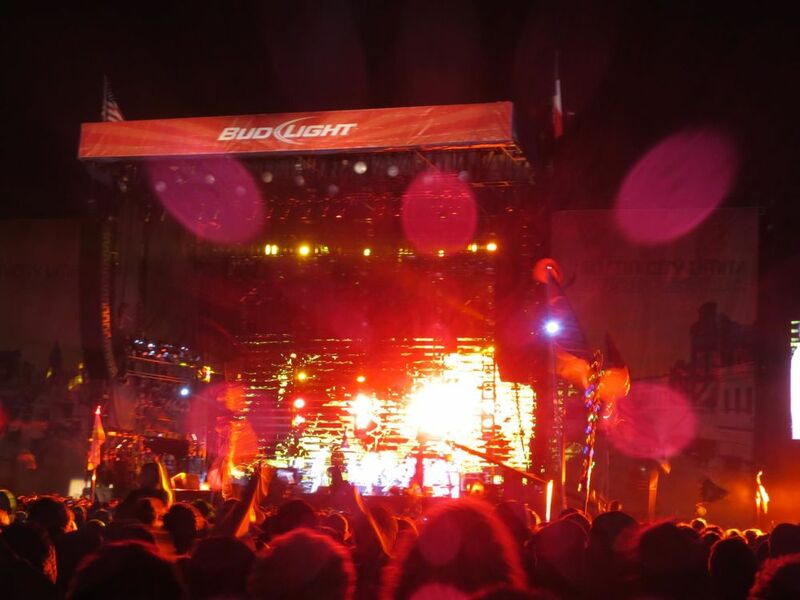 I’ll leave you with a picture from ACL. Which one… rain day? Chili Peppers? I think Chili Peppers.